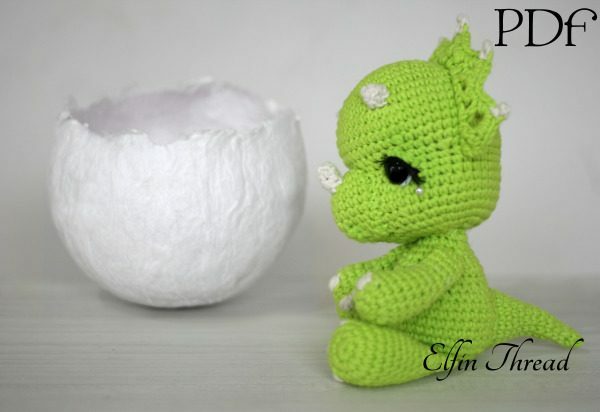 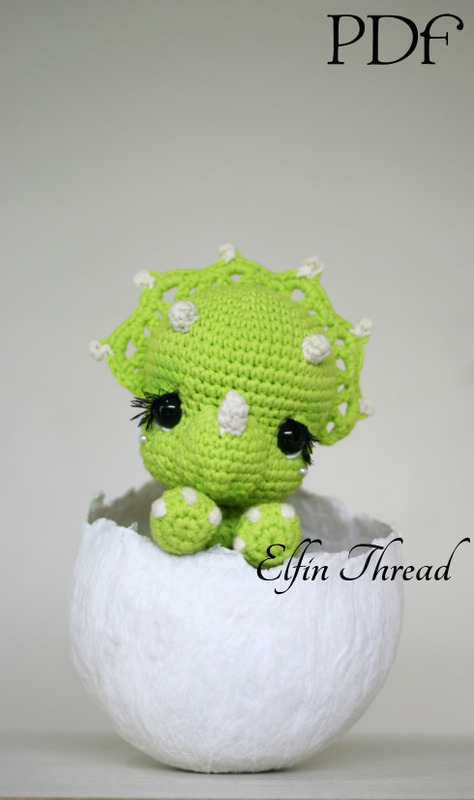 This is a crochet pattern to make this beautiful Chibi Triceratops. 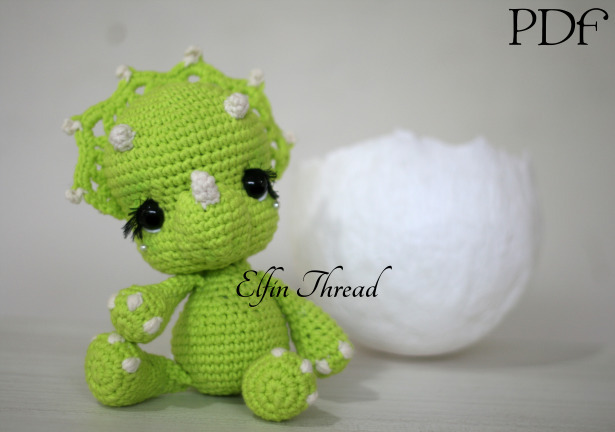 The finished doll size is about 9″ (22 cm) standing. 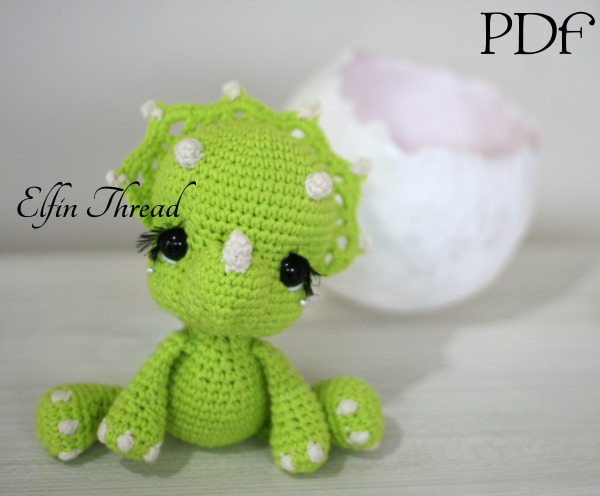 Warning: the doll can’t stand on its own. The PDF pattern is available in English (American standards). 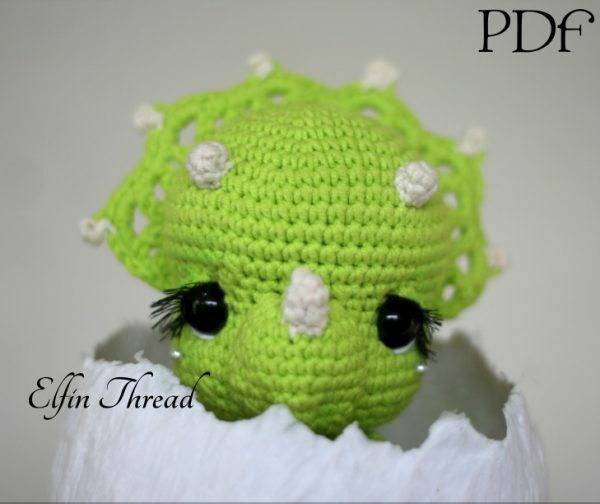 The skill level is easy/intermediate, but don’t worry: if you’re a beginner, the pattern includes detailed instructions easy to follow. 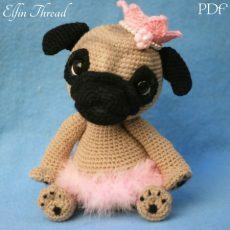 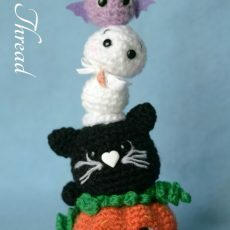 To make the doll you need few things: scraps of yarns, crochet hook D (3.25) and some stuffing and lots of love! 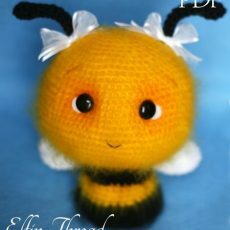 A pattern to make a cute Bee so adorable that you will want to kiss her day and night! 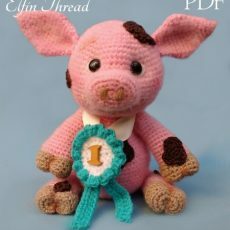 This is a pattern to make an amusing, muddy Piglet, who in spite of having jumped on several muddy puddles, has won the first place award for his sweetness.